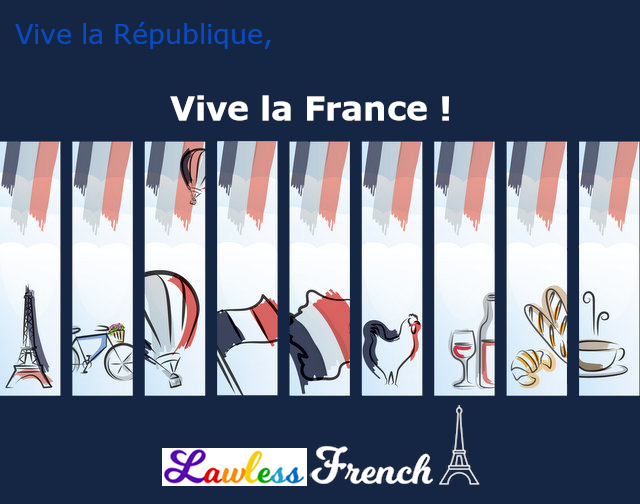 Even if you don’t speak French, you’ve probably heard the expression vive la France once or twice, especially in mid-July and during the World Cup. Get le scoop on what it actually means as well as how it’s spelled and pronounced with this detailed analysis. What about viva la France? You probably won’t hear the patriotic exclamation Vive la France ! more than a few times a year; it tends to be reserved for occasions like Bastille Day, French elections, international sports, and, sadly, national tragedy. Vive la France simply means "long live France" and is used to express pride in being French and in French accomplishments. It’s similar to exclamations like “God bless America” and “God save the Queen,” other than the obvious lack of religious reference in the French expression. It’s almost always preceded by Vive la République ! and is sometimes accompanied by other rousing expressions, as you can hear in these vive la France excerpts. Non-native French speakers often write viva la France, probably due to the influence of the term Viva Las Vegas and/or due to the fact that the -e at the end of vive is sometimes pronounced. However, viva is not a French word: it’s Spanish, Italian, or Portuguese. Even so, viva la France does not mean “long live France” in any of those languages; that would be viva Francia, viva la Francia, and viva França, respectively. 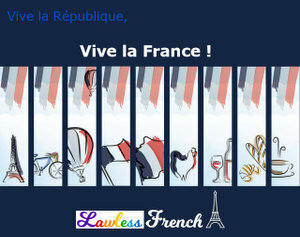 * Think these should be plural, as in vivent les Bleus, vivent les mariés, vivent les vacances? According to Le Bon Usage, vive is invariable in this type of construction. Some native French speakers disagree, and conjugate it as vive or vivent according to the number of the noun it precedes. Song: Vive Henri IV ! Vive la France !